Hi! 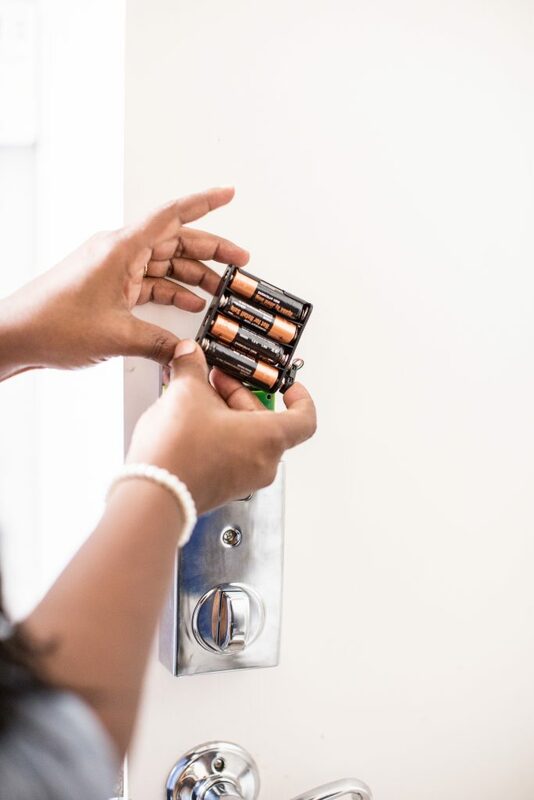 I’m back today with my partners from The Home Depot showing you guys some fun products related to the newest and fastest growing trend, smart homes! 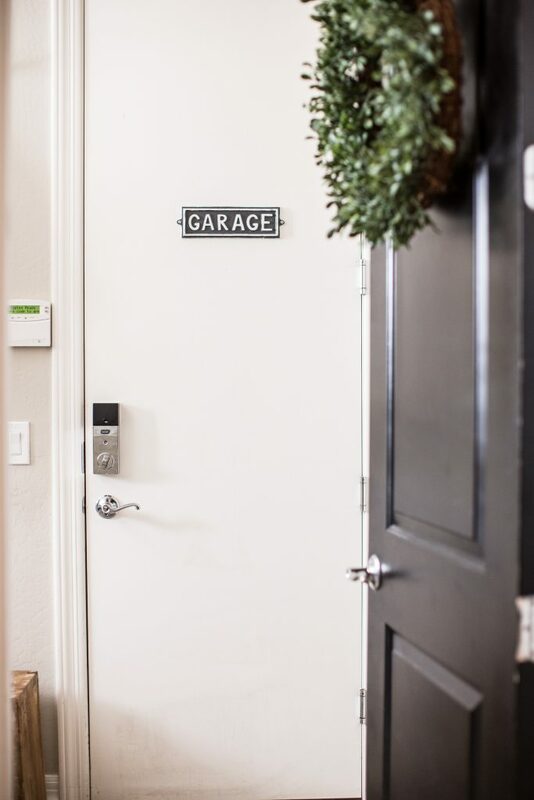 If you don’t know what a smart home is and why you might even need one, check out this post. For the last month or so Ive been reviewing some amazing smart home products that I think you and your family will love and some products that just make our lives as mothers so much easier. 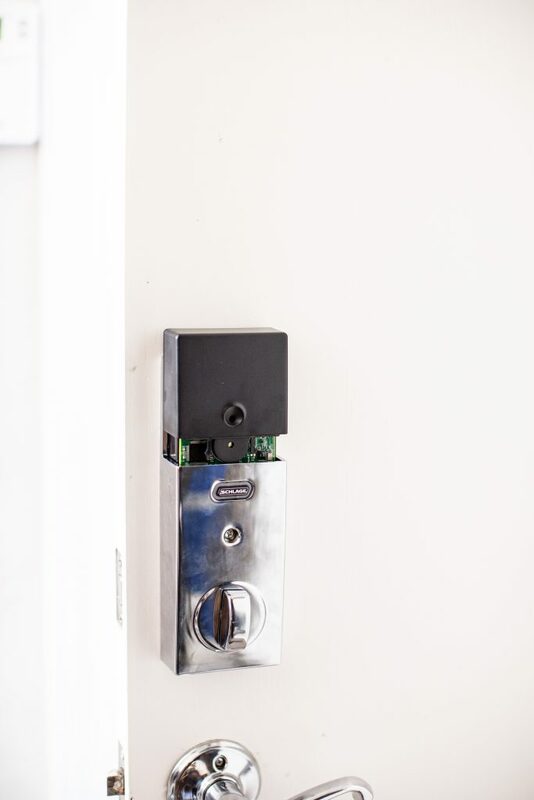 Easily put its a lock on your door that you can use without a key and control remotely! 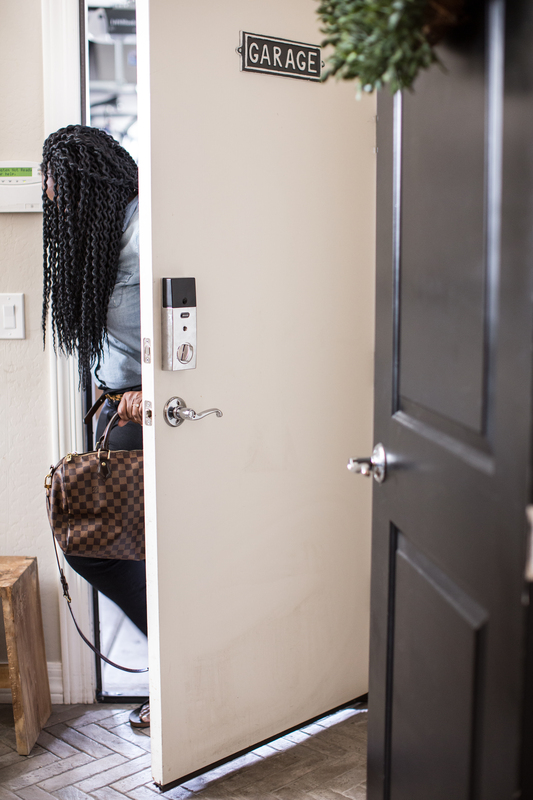 Just like any smart home product, a smart lock adds convenience to your life! I installed this smart lock from the Home Depot on our garage door a few weeks ago. 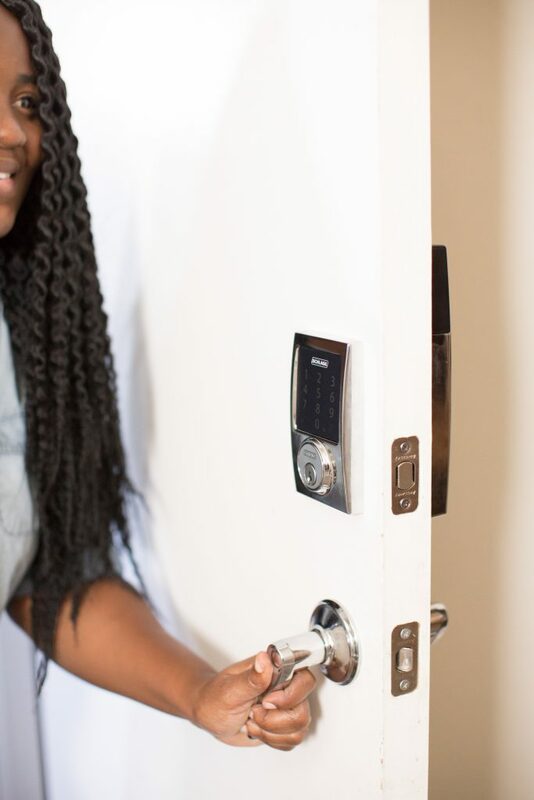 It’s a great way to get started with the smart lock idea and it was very easy to install! I actually installed it myself in about 30 minutes. 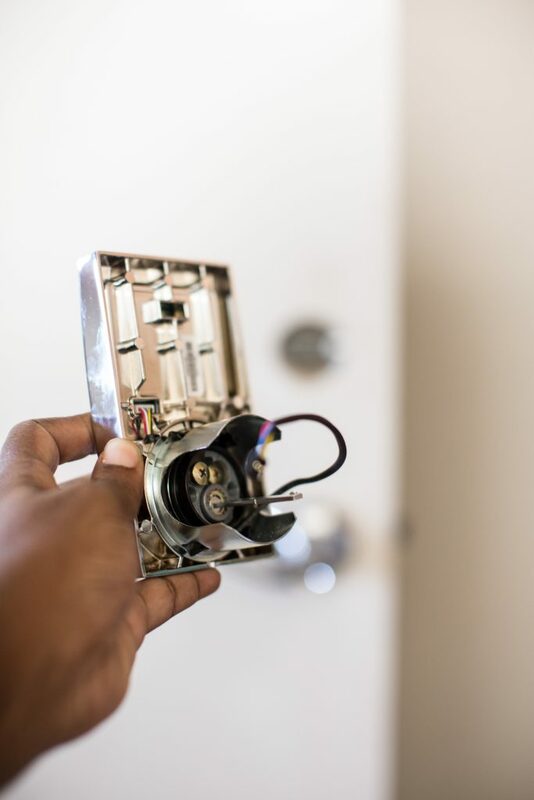 I love the deadbolt option because you don’t need to switch out ALL your hardware! 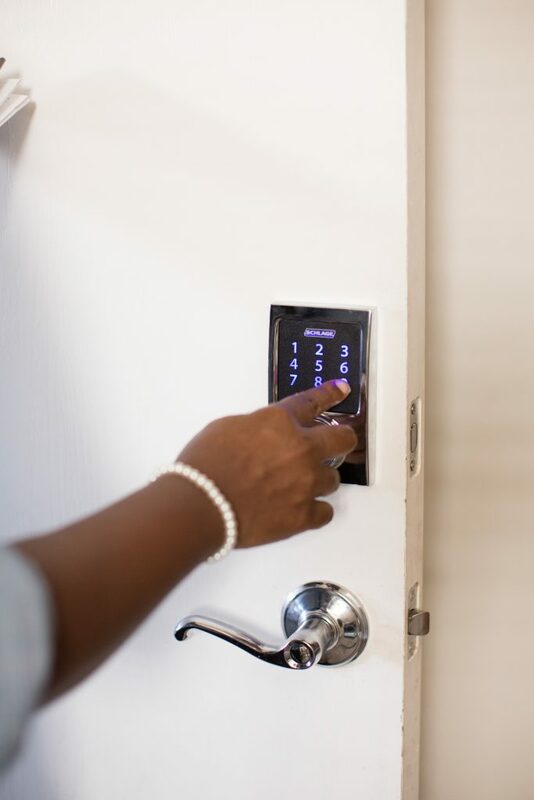 This smart lock by Schlage is compatible with Amazon Alexa, which I love! 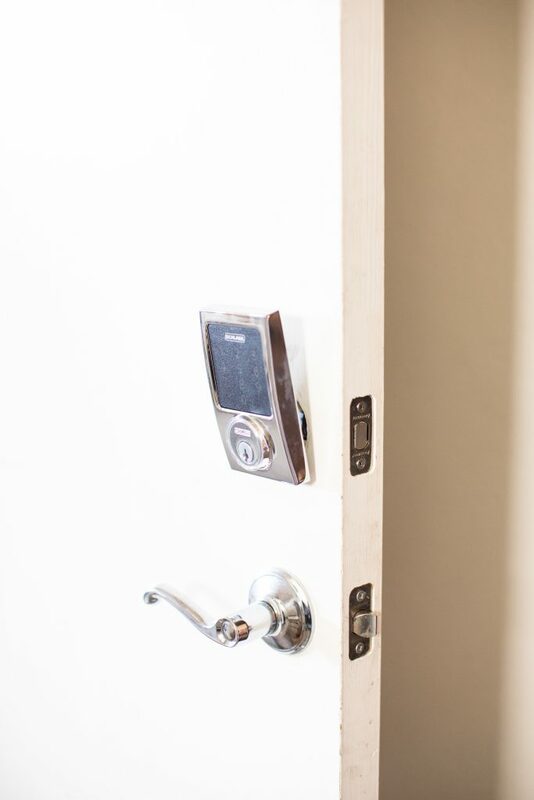 It also can hold up to 30 different access codes so each person you let into your own has their own! 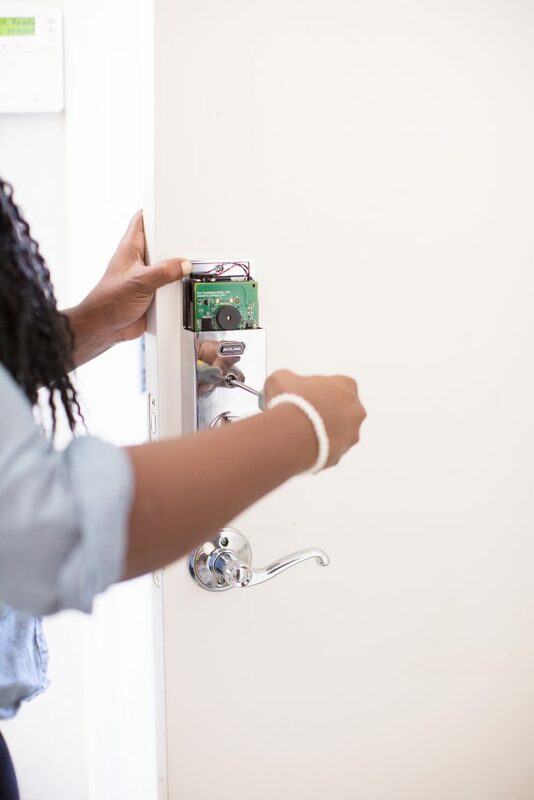 Plus it has an alarm that adds just a little bit more security to your home. 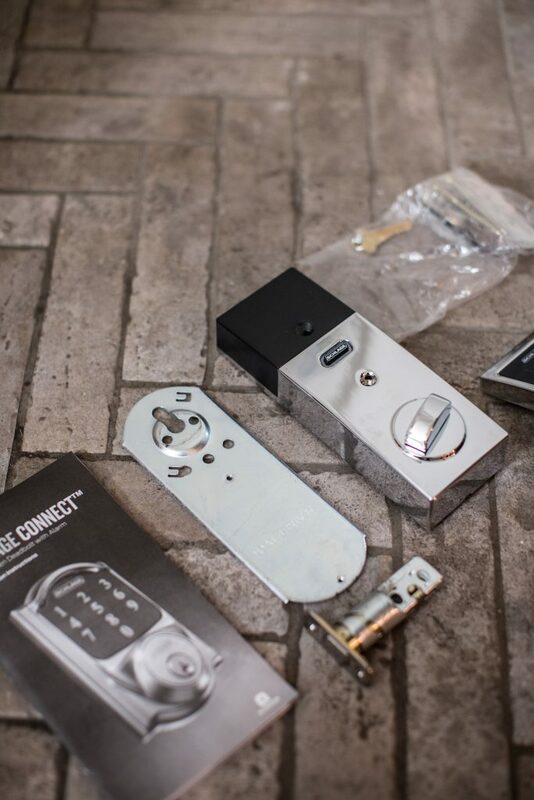 If you’re looking to install your own smart lock, here are some step by step photos to help you along the way! Like I said, it was VERY easy so I’m confident you’ll be able to do this yourself! 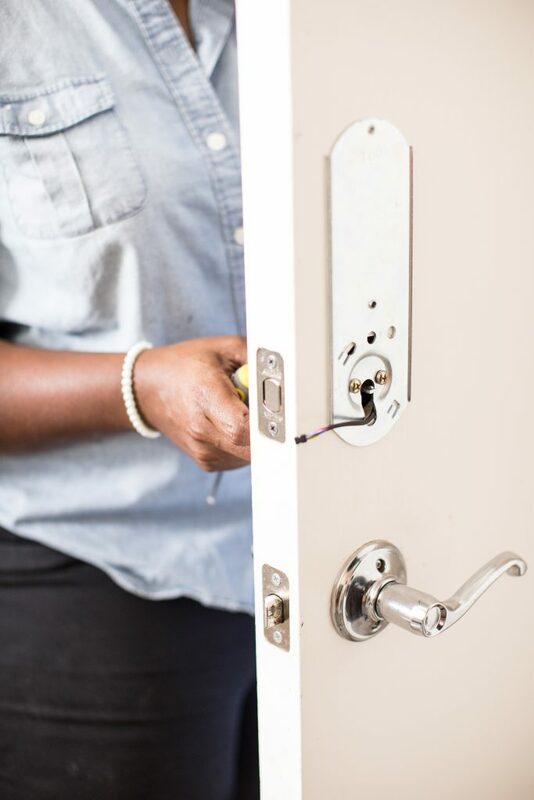 First remove your old hardware from your door. 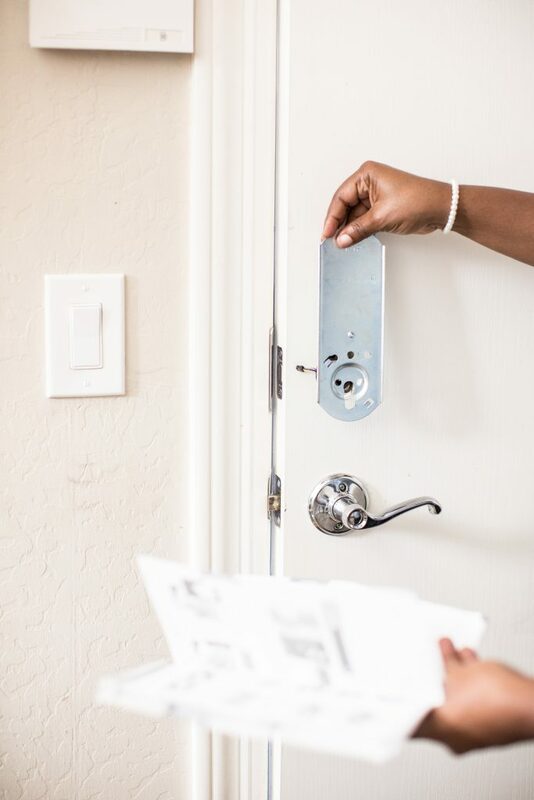 Then check your door frame dimensions. The online guide gives you some great pointers on how to do this correctly. 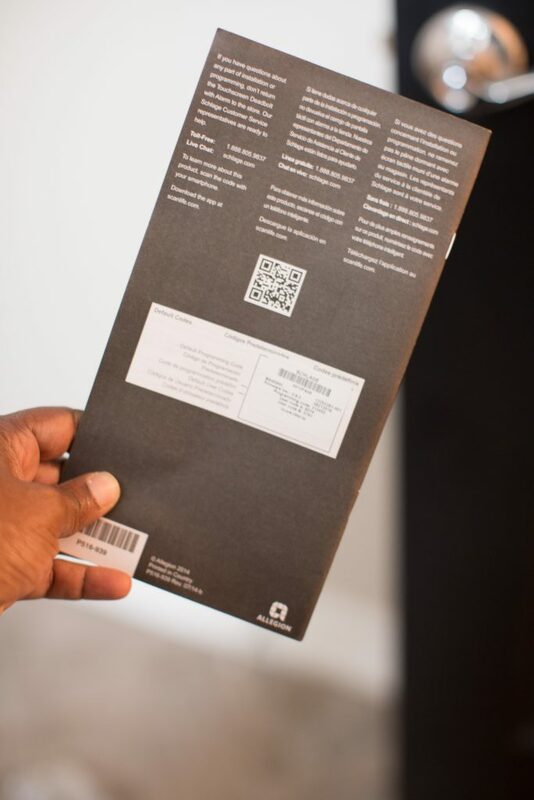 Next, locate your user codes and programming codes on the back of the manual. You will need these to program the lock! After that your ready to install the NEW bolt and strike. Again, if you have a newer lock the instructions are pretty easy to follow. 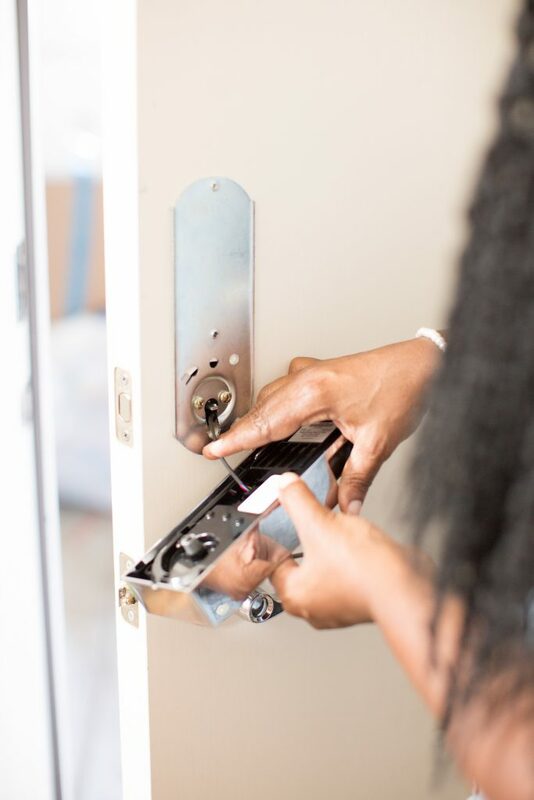 If your lock is older or you have a different shape for your bolt and strike area then refer to the manual for additional steps. Install the touchscreen and support plate. 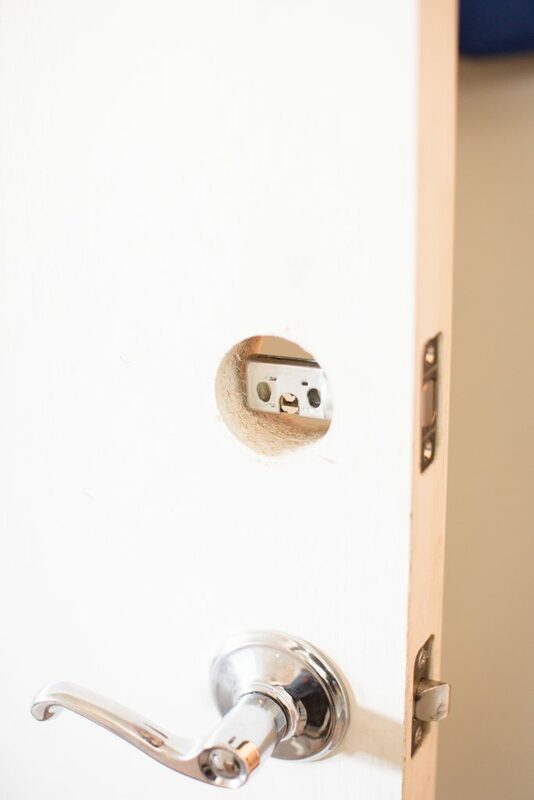 Connect the cable to the Alarm Assembly and align both devices and secure it with the provided screws. Then add the cover and set up the lock. 2. 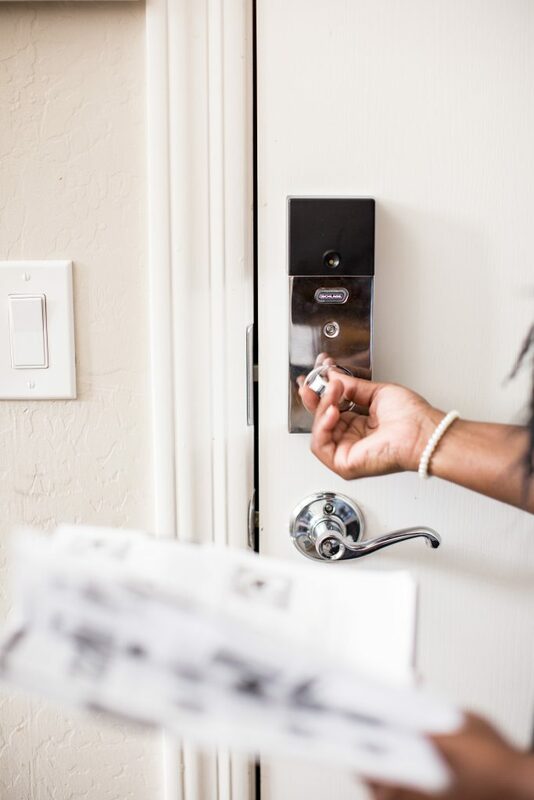 Press the Outside Schlage Button. 3. Enter one of the Default User Codes into the lock . 4. 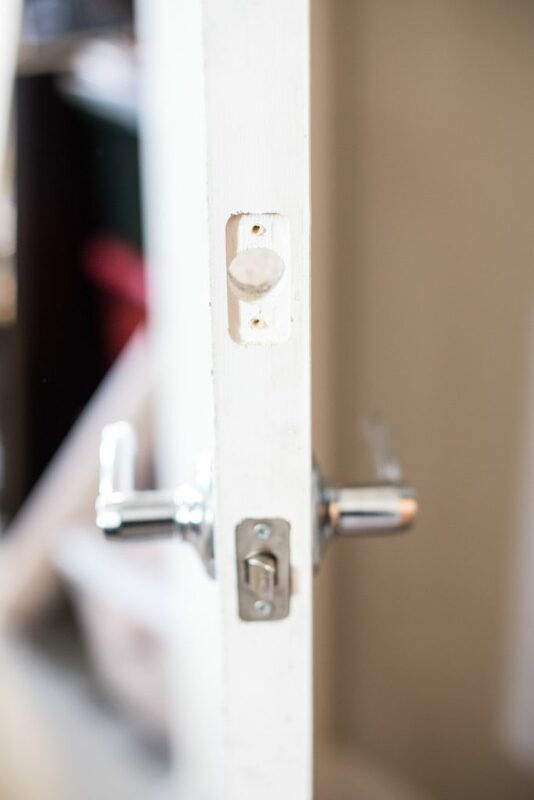 The lock will perform a setup routine. Wait until the bolt stops moving before continuing. 1.Press the Schlage button at the top. 2. Enter one of the default User Codes into the lock. 3. The bolt should retract and OPEN! Are you ready to try this device in your home? 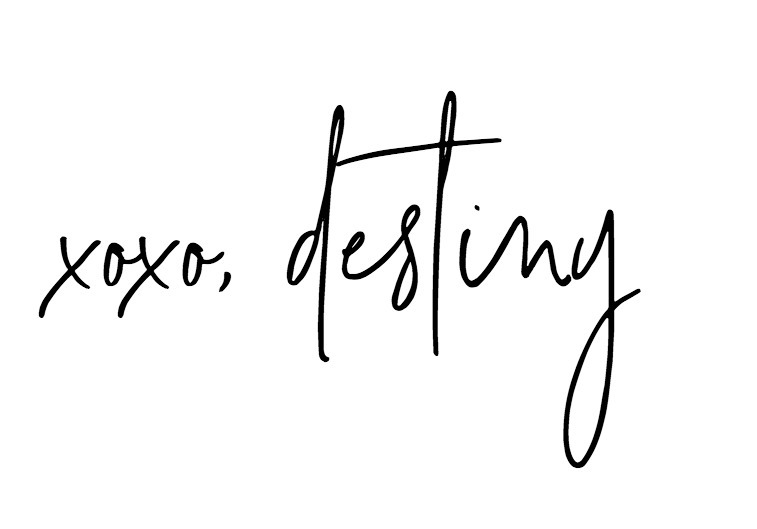 Don’t forget to check out my other posts about smart homes right here on Just Destiny!